The Great British Spring Clean. 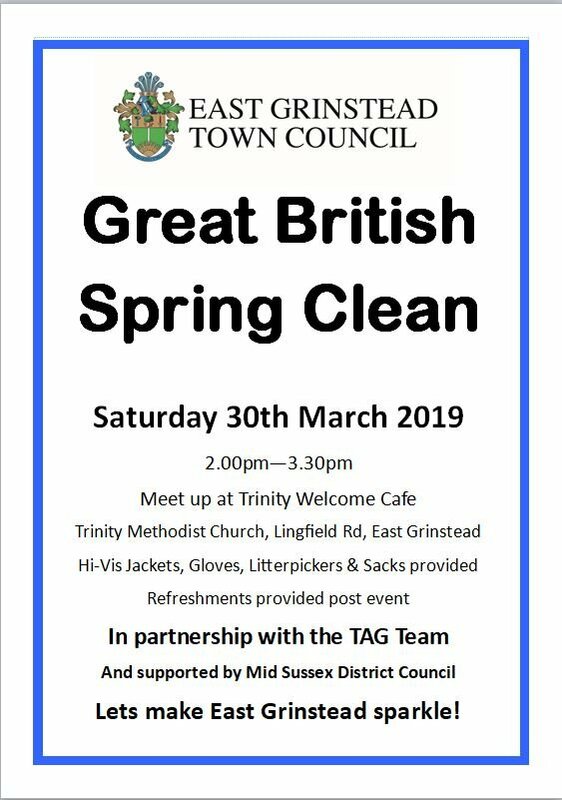 Meet at the Trinity Welcome Cafe where Hi Vis jackets, gloves, litter pickers and sacks will be provided. East Grinstead town Council in partnership with the Town Action Group Team with support from Mid Sussex District Council. Refreshments will be provided after the event. 01342 323636 for further information. Previous : Are you having a laugh East Grinstead?